I am so tired of all these mass-shootings that keep happening, and it alarms me that I'm actually at the point where I'm tired of seeing news about them. 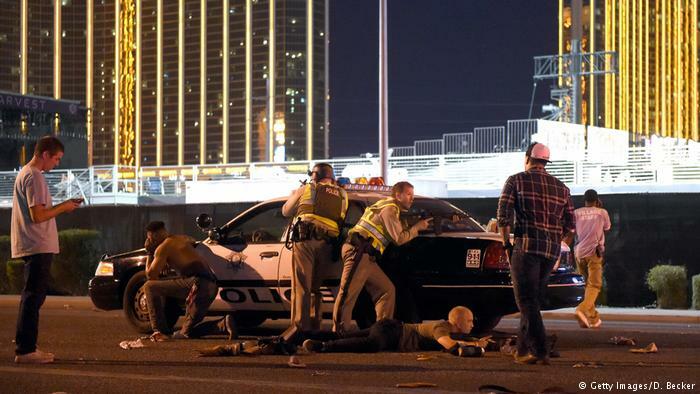 Yesterday night in Last Vegas the worst mass-shooting in American history occurred when a gunman (I won't even give him the dignity of stating his name) used the large number of rifles he had acquired to shoot-out the window of his hotel room and proceed to fire upon a crowd of 20,000+ people who just wanted to enjoy a big country-music concert. More than 50 people will killed, hundreds were injured, and it is disgusting. The shooter by all accounts was not the radar of any law enforcement agencies, had plenty of money, no affiliation with any terrorist or hate groups, and basically everyone is just dumbfounded. It is awful, terrible, and I am just so, so tired of this happening. We woke up to news about the worst mass-shooting in our nation's history and I find myself asking a question I already know the answer to, "What is going to happen?" Nothing, nothing is going to happen. Our politicians will offer their, "Hopes and prayers," but then far too many will prevent even the slightest efforts to explore how this could have been prevented--be it gun control, background checks, or maybe just making it so a single U.S. citizen can't legally own more deadly assault rifles than fingers we have on our hands. Meanwhile most of us will mourn all this death and injury with speeches and candlelight vigils, urging our leaders to do something while forces such as the NRA and gun-manufactures fight tooth-and-nail to stop even the most common-sense gun control. Plus, a handful of jackasses will concoct conspiracy theories blaming gay people, immigrants, saying it is a Government plot, or other idiocy. A year later we will look back at this tragedy, feel sad, and most likely despite our best efforts to the contrary, nothing will have changed barring some miraculous change in our political leaders. The depression I feel at knowing I can cynically predict almost beat-for-beat what will occur in the coming days, weeks, and months brings me more sorrow than you can imagine. When I see the news of another mass-shooting I just feel defeated. So many of us try to argue for the most basic kinds of ways to try and prevent what happened yesterday from occurring, but as is clear from mass-shooting after mass-shooting, nothing seems to ever change. We have to work to make things better, it can't go on this way, but right now it looks like it will. Let's do what we can to change that because if we can prevent even one more mass-shooting with a few simple changes then I would hope most of us are reasonable enough to want something, anything done.